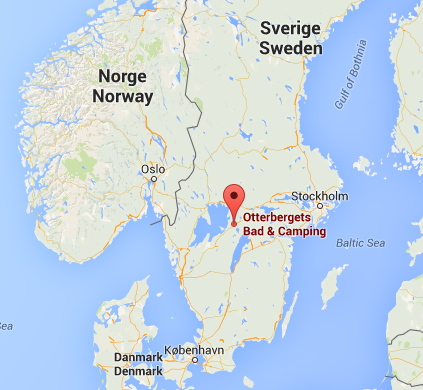 We, Kees and Lydia Donkersteeg, are the proud owners of Otterbergets Bad & Camping in Sweden. We are very glad to live and work in a country with such a wonderful landscape. Our camping site is surrounded by nature, if you follow the wood path you will discover a sandy beach with magnificent views of the Skagern lake, stretching for 1 kilometre. You can find a place to relax on the beach, or you can go swimming, fishing or enjoy various water sports. Moreover the beach is very suitable for children because the lake is shallow for a long stretch. Otterbergets Bad & Camping is worth while visiting when you appreciate tranquillity and wide open spaces, water and beach combined with all kinds of activities. Culture and nature lovers can enjoy themselves to their heart’s content. The Skagern lake is in the top twenty list of the largest lakes in Sweden. It measures 131 square kilometres and has a 100 km shoreline. Because of the lake’s size there are many opportunities for those who like fishing, boating, surfing or canoeing. From our camping site it is also possible to launch your own boat from – one of the few – boat launches at the Skagern lake. Furthermore you can ride a horse or bicycle along the lake. For this we can offer you special arrangements. The camping site is located between Stockholm and Göteborg, in the countryside of Västergötland, at three km distance from the E20, the main road which connects the two cities. This makes our camping site suitable for guests who like to stay for a longer period of time, as well as for those passing through. We feel strongly about the Swedish identity, which the camping site has. For this reason we want to continue many events at Otterbergets Bad & Camping. Combined with the local festivities this offers the choice from a variety of activities. In brief, something to suit all tastes. Do you have a dog? He is also welcome! When you want to go out for the day without your dog, we can agree to watch your dog. 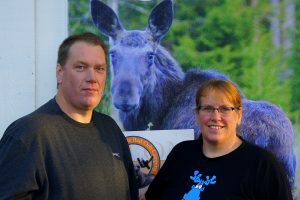 Otterbergets Bad & Camping is in 2019 open from April 12th up to November 4th. Hope to see you soon on our beautiful camping site in Sweden!